My choir director explained the opportunity with excitement. We had been asked to perform multiple times over the two-day regional conference for the American Choral Directors Association. We would be rubbing shoulders with high school and collegiate choirs from all over the western United States. We would be lucky to hear the other choirs that had been asked to perform. The cool thing about my friends was the way they liked to party. Our hotel was across the street from Temple Square, so what was our awesome plan? Temple work! My friend and I planned to do baptisms and confirmations for the dead in the Salt Lake Temple, and I looked forward to this early morning experience because I had never before been inside the iconic temple. We made sure to bring our temple recommends and our Sunday best, and double checked with our chaperones that a 5:30 wake-up call would be okay. Then, all we had to do was wait for Day 2 of the trip. The first day was full of our performances as well as listening to others’ hard work, but when we weren’t singing or listening we spent our free time on Temple Square. There may have been hundreds of high school students wandering block, but I’m sure the choir directors and chaperones were secretly happy to share their “watch the kids” responsibilities with the sister missionaries. And the missionaries did have their eyes on us, but that was probably because most of the choirs weren’t from predominately Mormon communities. During a free time I wandered over to the South Visitors Center and was approached by some sisters. They were pleased to find out I was already a member of the Church, and didn’t hesitate to ask about my plans post-graduation. “I’m headed to college, but I’d love to serve a mission as well,” I said. “Of course! Missions are the best!” said one. “Don’t wait. You can start being a member missionary now!” said the other. They handed me a pass along card and challenged me to give it to someone before I left Temple Square. I always had the loudest voice in the primary when we sang, “I Want to Be a Missionary Now,” and now I had a chance to be a real missionary. But was I brave enough? I had problems striking up conversations with attractive boys on a daily basis, so I was doubtful I’d ever be able to approach a stranger and tell him about my religion, but I was sure going to try. The pass along card went into my pocket but I thought about it all the time, resolved to hand it to someone and share the good news of the gospel. This was going to be a missionary trip. Day 1 ended with a big concert for all of the conference attendees in the Conference Center. The Mormon Tabernacle Choir sang for us, and I realized and appreciated their talent for the first time. I also had an eye out for any pass along card opportunities that might cross my way. Of course, music and missionary work weren’t the only things on my mind during the concert (or the trip). This was high school, after all, and I wasn’t part of an all-girl choir. I thoroughly enjoyed spending bucketloads of time with some of my favorite young men (who could sing, let me tell you). For the concert I sat pretty close to my Boys of Interest but purposely wasn’t right next to them. It’s easier to pay attention to boys when you aren’t in the interaction zone. Naturally I noticed when they started talking to a couple of college girls who sat in the row ahead of them. I couldn’t hear the conversation. I couldn’t even see the coeds clearly. But what on earth were they saying? And why did these women look so interested? Why would college girls pay any attention to high school boys anyway? And they did seem very attentive. I didn’t have to wait long for the answer because the Boys of Interest were eager to share. Turned out, the women were voicing questions about the Mo Tab and the Church to each other and the Boys, overhearing them, answered. A missionary moment, and I had missed it. The pass along card felt a little bit heavier. I just needed to be more diligent. I prayed even harder that night to have my own missionary moment — a chance to keep my promise and give someone the pass along card. Day 2 started bright and early. The chaperones had undoubtedly been up all night keeping kids in their own rooms and were happy to get a few more hours of sleep, so they let me and my friend head to the temple on our own in the wee hours of the morning. We crossed the street and made our way to the early morning underground entrance. As I entered the Salt Lake Temple baptistry for the first time I was astonished by its beauty and the careful work put into even the smallest details. A little table that stood unassumingly near the confirmation rooms caught my eye. The top of the table was inlaid with different colors of wood, and was almost photorealistic. In the design there were a number of trees and behind them was the temple. Its exterior had such depth that I expected to feel it when I ran my hand across the glossy, smooth surface. I still don’t know how anyone could shave such tiny slivers of wood and get them to fit together so perfectly. So masterfully. There were hundreds of individual pieces, but they all fit together as if they had been grown that way and the craftsman had simply attached the legs. It must have taken months or maybe even years of work for just one table. But of course, a craftsman would do his very best for the house of the Lord. My experience in the temple was intensely spiritual and set a wonderful mood for the rest of Day 2. With such a powerful morning behind me, I was sure to be a good missionary. I knew it. I kept praying for it, and made sure to keep the pass along card with me at all times. We had more performances, more audiences to be part of, even more free time, and I managed to spend quite a bit of this free time walking around with a boy whom we shall call Desperate Crush, so I was happy about that. What I wasn’t too happy about was the pass along card. As much as I wanted to enjoy my time with the boy, the only thing I could think of was that card, still in my pocket. I began to see everyone as a prospective recipient. I questioned myself as I passed person after person, wondering if they would have accepted if I had been brave enough to ask. Time wound down until the chaperones herded us back to the buses. My time was running out. I wasn’t sure if there weren’t any opportunities or if I was just missing every single one. Desperate Crush and I crossed the street, leaving Temple Square and my last chance to be a missionary, when I had a sudden thought. Give him the pass along card. No, because he’s already a member. Go away, feeling. Two words. Desperate. Crush. It’s not going to happen. Remember when I was nervous about sharing the gospel with a stranger? This is far worse. … Oh. This isn’t a feeling. This is a Prompting. He took the pass along card and looked at it. Then he kept walking. Did he say anything? No. Of course not. That would have made me feel like I had just done something normal or expected. I wanted to die, but instead I followed him. We were headed to the same destination anyway. Well, Prompting, are you happy now? We walked past the food court and into the hotel lobby, and we were just about to round the corner to the front entrance and our awaiting buses when he suddenly turned into the little gift shop off to the right. I stood in the lobby, alone and clueless. He walked up to a woman and spoke to her, handing her the card. Why didn’t I think of just putting it in some random stranger’s hand? That could have worked for me. That was the moment when the pieces were finally put together enough that I saw the picture. And it was actually quite beautiful. Lots of tiny little pieces, tiny little moments, tiny little high school people — all part of the work and the glory of God. I have no idea if that woman did anything with the card that spent two days in my pocket. But now I know what miracles look like and I know that they don’t come pre-assembled. Miracles are piecemeal, like building inlaid wood art on the top of a table. The best part about miracles is that if we’re willing to put pieces down by faith, not seeing the end result, we end up making the most glorious work of art ever. Missionary work is a miracle. 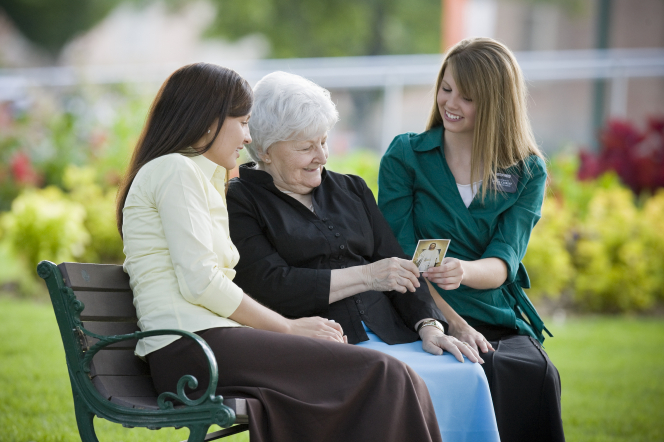 There aren’t many missionaries who will see the results of their work in their own lifetime. And sometimes it takes more than one missionary to finish the work. It makes me wonder if the end result isn’t more beautiful because it’s made up of little pieces.